The Little Mommy 10 piece Starter Kit is the perfect gift for little mommies. 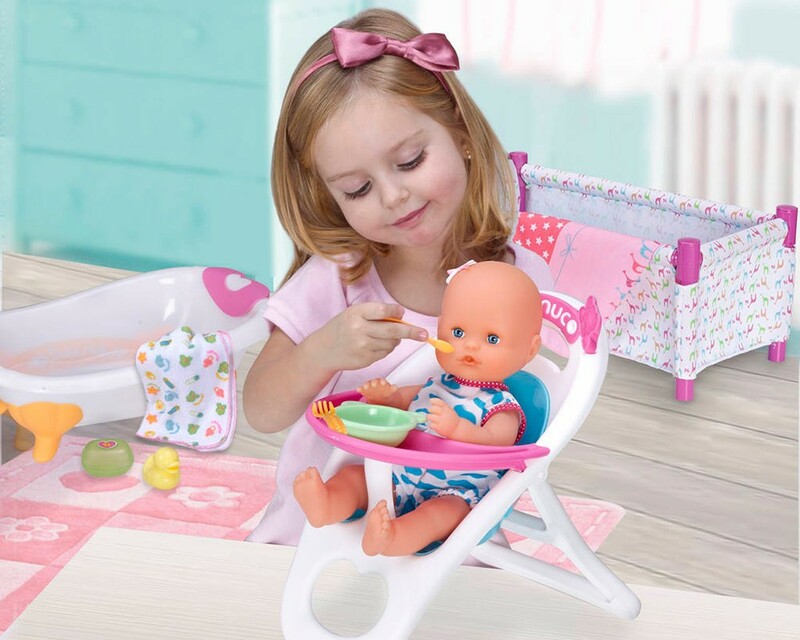 This set includes a 14″ hard body doll with 3 larget plastic accessories – Bathtub, cradle & a highchair – mirroring all the most popular ways little girls play with their dolls. 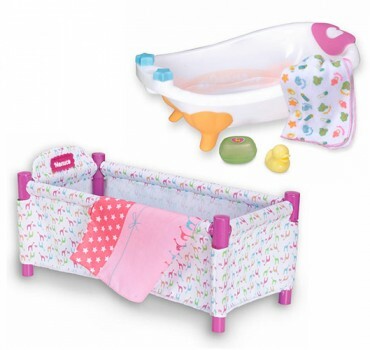 Each accessory includes companion peices: the bath tub has a washcloth, rubber duck & sponge. 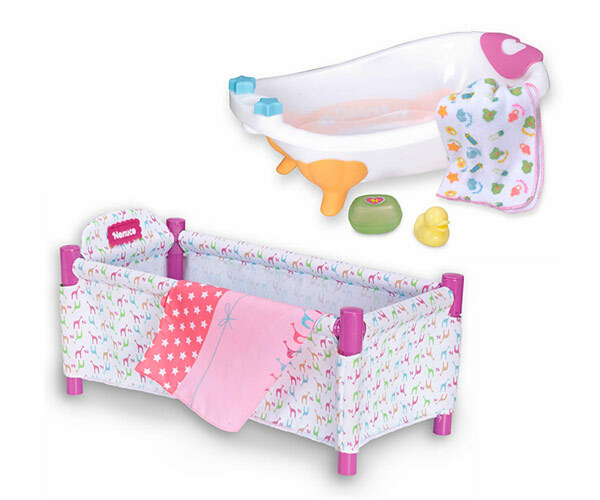 the High chair has bowl & spoon & the Crib includes a soft blanket. A great value! 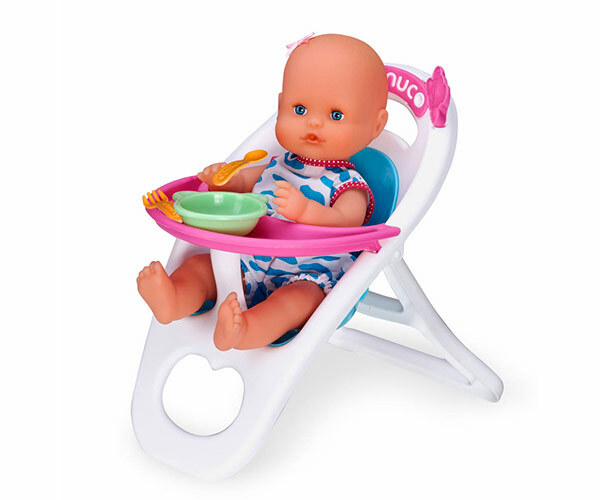 Nenuco dolls provide aspirational role play for children of all ages to interact with their dolls in fun everyday ways…just like a real mommy. Nenuco is the doll brand that moms have been giving their daughters for over 50 years. Start your tradition today.